In last week's Art & Story we talked with veteran animator and cartoonist Raul Aguirre Jr. about thumbnailing--that is to say, the sketching you do in order to pre-plan your comics story. This is my favorite part of the process for many reasons, but most importantly because this is where the majority of comics creativity is at work. It's at this stage where you decide your moment choices, character acting, paneling, page composition, pacing, and flow. Yes, drawing the final pages is tough, but comparatively speaking, it's not as intellectually grueling as sketching your thumbnails. 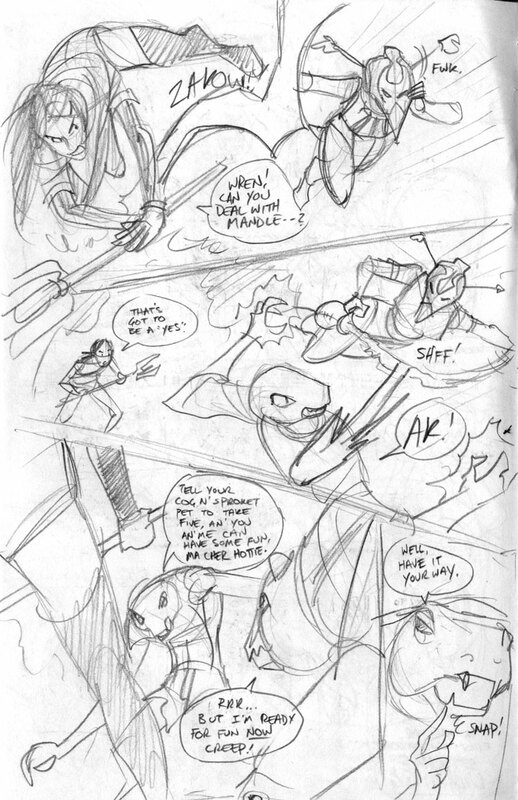 Thumbnailing is the stage where I smack my face into the desk in frustration like Don Music. A lot of cartoonists seem to agree with me on this one. As a supplement to the audio from the episode, I thought I'd share some examples of the thumbnails I work from when going to final. here are the pages from Equalizers of the Divide #1, a comic I collaborated on with Sara Turner. You can compare the thumbnails to the final pages by checking out Equalizers of the Divide on the Sugary Serials site. Of course the comic is there in its entirety, absolutely for free. Mark Rudolph and I also recorded a commentary track to our comic Switch Runners a while back. 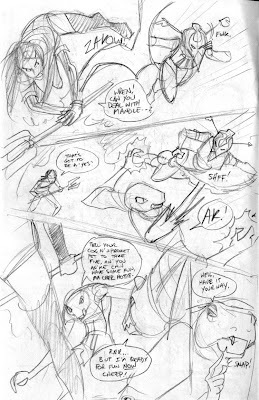 In that post on the A&S site we posted some of his thumbnails to compare with the final pages. If this post is interesting to you, you may want to check out that ep.